Last time I sat down to write a post, my mind was racing. Actually, the last few times I sat down to write a post, my mind was racing. Could you tell? Those first few weeks I forget some core wisdom, like the importance of taking a step back. I forget the value of slowing down, taking a breath. I am so focused on “doing things” that involve a lot of deadlines and paperwork, that I forget the essence of why I teach, which can’t be measured in statistics driven by SGO’s and SGP’s, no matter how hard the data is analyzed, revised, or tweaked. When my head is in the world of corporate education, my heart isn’t fully in my job. When I am focused on how much there is to “do,” I lose some of my teaching magic…and unfortunately, so does my audience. There are still many abracadabra moments that take me away from the sideshow of Big Education, like the move I use to emphasize 2-sided worksheets. As I dramatically swing my sample copy front-to-back, eliciting mock-gasps and signs of feigned but supportive amazement, we join in laughter and camaraderie, part of an unwritten curriculum. Thoughts of impending deadlines and the inputting of online grades for a report card that doesn’t really align with my idea of authentic assessment slip into my head, uninvited at times (or prompted by the latest email). But each morning, when I greet my little people at our classroom door, those thoughts disappear into thin air somehow. That’s my kinda’ magic. Recently, a friend of mine sent me a link to an article she’d read on Farnum Street, a blog I was unfamiliar with at the time. The link was to an article entitled Do Something Syndrome. Shane Parrish, creator of the blog, writes about a wide variety of topics in an effort to help other people become lifelong learners. He is what I would call an encourager of curiosity. 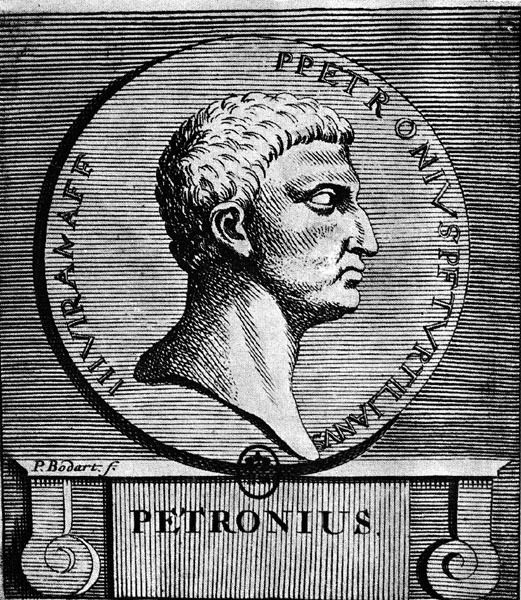 In explaining “Do Something Syndrome,” Parrish gives a commentary on society’s need to “do something” when there is a problem to be faced, rather than choosing the “logical course of inaction.” He begins his musings with a quote from Roman Satirist Gaius Petronius Arbiter. I for one don’t see progress when I look at what is going on in education. Like Sweetpea the Hamster, I see a lot of people scrambling to “do something,” instead of saving much needed time (and money!) by focusing on what IS working inside of classrooms across the country. Harry Houdini knew how to get himself out of a jam. Big Education does not. Parrish’s blog linked me to Peter Bevalin, author of Seeking Wisdom – from Darwin to Munger and the concept of Do Something Syndrome. I would like to think that I continue to seek wisdom. Bevalin’s concept of “Do Something Syndrome” has inspired me, however, to stop “doing” for a while. Each day, there are things I can do to teach children an unwritten curriculum, one that involves “doing” what’s best for the kids. The unwritten curriculum involves backing away from the inefficiency of Big Education. It has very little to do with re-evaluating, reassessing, rewriting, rethinking, reviewing or re-vamping testing practices and procedures, or the acceptance (or not) of the Common Core. Teaching, in its truest form, is simply inspiring other people to inspire each other, and to learn and grow together. It is about connection, not big business. Each day, face to face, I see what works and what doesn’t. I’ve made many mistakes, and I have had many successes…and there is valuable wisdom in both. So I am currently rethinking, re-evaluating, and revising my own personal version of Do Something Syndrome into a lesser-known, yet highly effective method of promoting success. Let’s call it “Do Something Meaningful Syndrome,” or DSMS, for short. What’s the first sign that “Do Something Meaningful Syndrome” is occurring in your classroom? No matter what “Reading Unit” you are on, you will find yourself unable to stop gathering your students on the rug each day for the class read-aloud. Symptoms may include a lack of using any of this reading time for mini-lessons in “Reading Workshop.” You may experience the need to teach grammar, sentence structure, or paragraph unity at another time of the day, or to require any formal, written response. Other side effects may include a propensity to go with the flow, relax a little, and enjoy doing what you love and watching your students ponder and share their ideas. WARNING: If something like this happens in your classroom, you may find yourself with a full-blown case of DSMS. This will result in reading for the sheer enjoyment of getting lost in a good story, and discussing it as a classroom community. DSMS is already starting to show itself more openly in Classroom 4-T, and in my lesson planning, as the kids and I are getting to know each other and exchanging our own, individual wisdoms and curiosities (many of which occur on the reading rug). We recently finished Wonder, by R.J. Palacio. It is my third time using this amazing story to expose my students to meaningful life lessons, part of our unseen and undocumented program of studies. I was planning to read Out of My Mind by Sharon M. Draper as our next selection and source of wisdoms, but Tatum, or “Tot” as we call her in 4-T, brought in Auggie & Me, a companion book to Wonder, from home to share with the class. I read it over the weekend. I couldn’t put it down. Plans can change when there’s a little bit of magic (and Wonder) in the air, especially when one of your students makes a simple gesture that shows how excited she is about what she is doing in school each day. Backing away isn’t giving up. It is simply re-evaluating and revising at its most effective. Curiosity can be heightened and new ideas can appear when kids are encouraged to learn for the sheer joy of learning, when we challenge them to ask questions and seek new wisdoms of their own…to make a little bit of their own magic happen in the world. This is music to my soul. Have been trying to do something similar in my MS classroom…thanks for the additional motivation! Jump and a net will appear….Set myself free last year from the ever-improving curriculum. I’m still technically rated as effective, but love teaching so much more. Thanks Sara!…MS insights must be quite interesting and fun to work with. My ten year olds surprise me with some of their thoughts. I can’t imagine what teens must have to say in a classroom setting! Good luck “not doing” with them! “Jump and a net will appear”…I love that, Lorraine!…and it’s a nice net I seem to have landed in recently!…Thanks for writing!